The tradition of excellence continues in this fast and funny production of Twelfth Night when all the world is turned on its head and all authority usurped, when by civil misrule girls become boys and women lust after women. 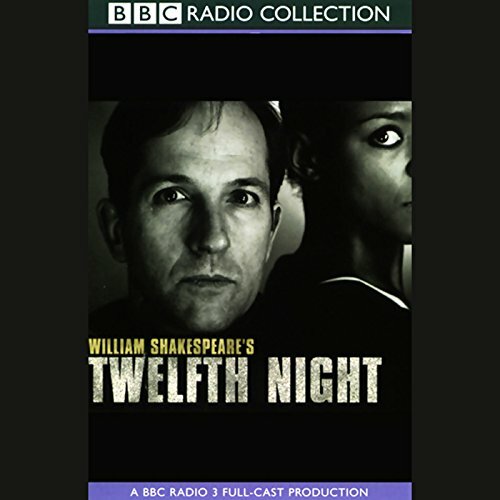 "Twelfth Night" is one of the most delightful of Shakespeare's plays, and enough cannot be said about BBC Radio Shakespeare's performance! Listening to any play has its disadvantages. In this production especially, there is a lot of mistaken identity and quick dialogue interchange that can cause confusion when the listener is unable to see these excellent actors. It's best, then, to follow a written copy of the play as one listens. So, by all means listen. Even when they can't be viewed, the actors add so much to any experience of this wonderful language. There's music in this one as well. The BBC radio productions of Shakespeare are quite a bargain on Audible. Dust off your "Collected Works", settle down to read and listen, and enjoy! People always say that it's hard to understand Shakespeare, but this recording proves them wrong. It is so funny and entertaining and beautifully performed. I love listening this ancient English. Anne Marie Duff is my personal favourite. Her Viola is very clever and sensitive, I would love to see her on stage!